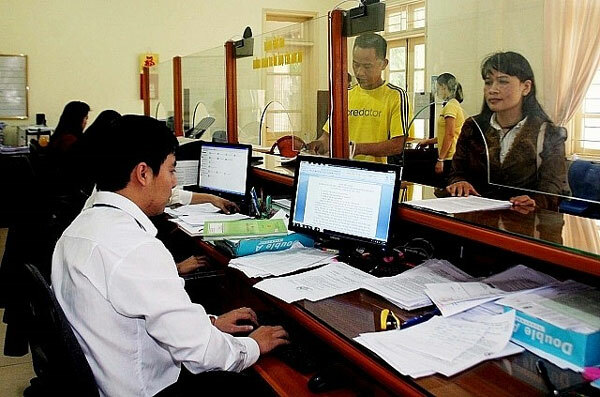 VietNamNet Bridge – The Ministry of Home Affairs (MoHA) is collecting opinions on a new law which would amend a number of articles of the Law on Cadres and Civil Servants (2008) and the Law on Public Employees (2010). All ideas for the new law should be submitted to the ministry at www.moha.gov.vn by March 24. The law is expected to come into effect on January 1, 2020. According to the MoHA, many regulations are updated and clarified in the new law including recruitment policies and treatment of cadres, civil servants and other public employees. Notably, it would start to adjust the payment scheme to reward good performance rather than just seniority and ensure public servants are paid a living wage. The evaluation and classification of cadres, civil servants and public employees will be based on their performance level in assigned duties. Performance will be determined through the use of surveys and comparisons with others in similar positions to make the process objective and transparent. The law also says disciplined officials and public employees can not be appointed to higher posts, but may still be considered for re-appointment or for lower positions. There is currently a discrepancy between the current legal code and Party policy regarding the window in which retired officials can be disciplined. In accordance with existing laws, civil servants who commit violations cannot be disciplined if their wrongdoing is not detected within 24 months. The revised law would extend the period to 60 months. As the duration is so short, it does not guarantee violations are handled. Some violators have undergone Party discipline (or criminal punishment in form of a suspended sentence) but cannot be disciplined under the provisions of the law because the period has already lapsed. In order to solve the aforementioned problem, the ministry proposed supplementing the regulation that says retired cadres who are found to have committed violations on duty should be disciplined according to the Party’s regulations and will be reprimanded and have their titles revoked. Two options were put forth by the MoHA for the Government’s consideration. The first option is to discipline all officials, civil servants and public employees who made violations during the discharge of their duties but have retired or quit their jobs. The second one is to punish only those at the deputy minister level or higher who made serious violations, including those at the vice chairman level in provincial People’s Committees. According to Truong Hai Long, head of the Civil Servants Department under the MoHA, several seminars have been held by the ministry to gather opinions from experts who gave different ideas on how to deal with retired officials. Some said the Law on Cadres and Civil Servants should not apply to those who have retired or quit. “In line with the Party’s policy on strictly dealing with officials who commit violations even if they have retired, the ministry proposed two options to collect the public’s opinions on the issue,” Long was quoted by Thanh Niên (Young People) newspaper as saying. Nguyen Tien Dinh, former Deputy Minister of Home Affairs, said all violations should be handled. He pointed out that officials below the level of vice minister could also commit serious violations worthy of punishment. He said all violators should be dealt with to ensure fairness. Dinh said widening the scope of people subject to discipline would discourage misconduct. Echoing Dinh’s opinion, former head of State Management and Human resources under the National Academy of Public Administration Vo Kim Son said there was no need to mention the second option as all violators should be dealt with. Sơn cited the Law on Cadres and Civil Servants, the Law on Public Employees and the Law on Anti-Corruption as examples. In related news, the recruitment and rank promotion examination for civil servants and public employees will be adjusted to simplify administrative procedures, enhance transparency and improve the quality of recruits in line with the updated law. Under Government Decree 161/2018/NĐ-CP, which took effect on January 15 this year, the recruitment of civil servants and public employees will be organised into two rounds. Applicants are obliged to take exams in general knowledge, foreign language and IT skills in the first round. In the second round, they undergo an interview and a further written test as required by the head of the recruitment agency. The same rules are applied to rank promotion examinations for civil servants and public employees.